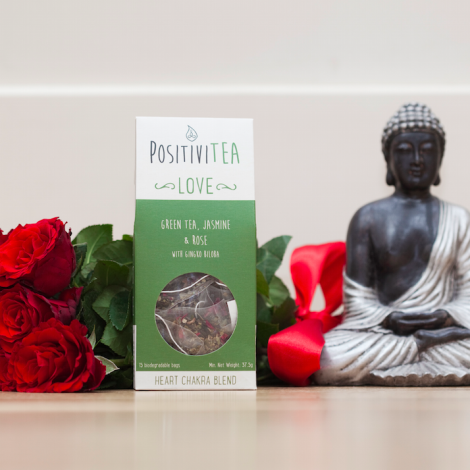 Random Tea… PositiviTEA for every emotion! 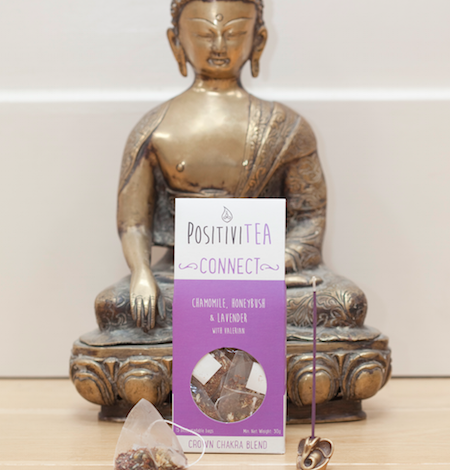 I came across the wonderful brand PositiviTEA by way of recommendation from Kat Farrants of Movement for Modern Life – the most wonderful yoga subscription money can buy! 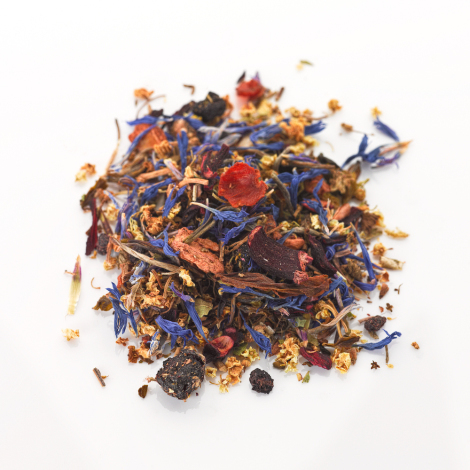 They make seven gorgeous chakra inspired teas, blended for balance. A perfect way to end your daily yoga practice, or just to add a sense of calm and relaxation to your day. Chakras are the energy centres of the body. When they are balanced, you feel healthy and happy. The herbs within each of the teas are designed to provide balance wherever you need it. The lovely people at PositiviTEA sent me a sample box of all seven teas to try out. Here’s what I thought of each one! With hibiscus to lower blood pressure, cinnamon to promote healthy circulation and ashwagandha to strengthen the blood and bowel functions. 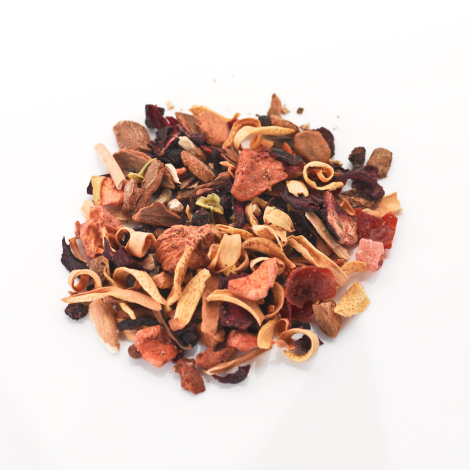 This tea has a wonderfully fruity taste with spicy undertones and is a lovely drink to relax the senses. A deep rooibos with cocoa, vanilla and ginseng. This tea is designed to balance the reproductive organs. Antioxidant rich, energy boosting and with aphrodisiac qualities. I found this tea incredibly soothing at my time of the month. The cocoa flavour is also really comforting. If you’re feeling a bit lethargic, it can pep you up a little. I absolutely love the taste and energy boost from Yerba Mate, so this combination with lemongrass, ginger and dandelion was an immediate winner. A wonderful tonic tea, with digestion soothing and energy boosting qualities. Fantastic on a warm day, or to get you going first thing in the morning. The solar plexus chakra is associated with willpower, so if you’re procrastinating, this could get you going again! I’ve recently discovered a fondness for rose petals in tea and this one is no exception. A beautiful blend of green tea, jasmine and rose, with gingko biloba. The heart chakra is associated with love, compassion and the circulatory system. A perfect blend to strengthen the heart and get your blood flowing! 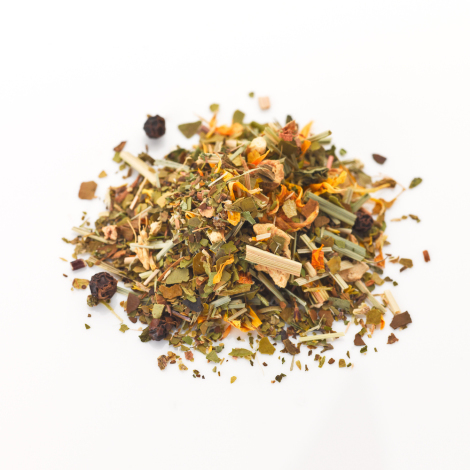 Once you get past staring at the gorgeous colours in this blend, you can create a soothing and strengthening tea. Peppermint aids digestion, whilst liquorice, ajwain, and echinacea support your immune system; allowing you to express yourself again! I really loved the warmth and comfort from this tea – really powerful. 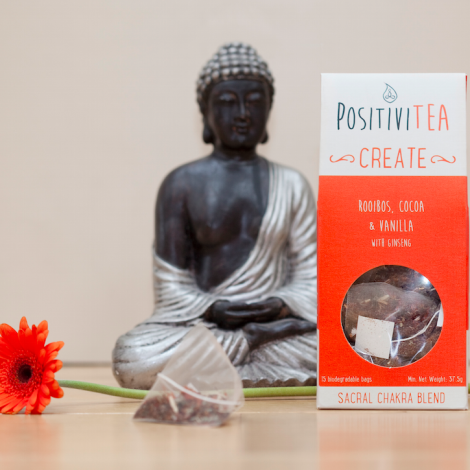 A wonderful tea for all of us creative types – the third eye chakra is associated with insight, the imagination and the eyes. A blend of white tea, elderflower, Eyebright and Goto Kola to provide clarity and focus, sooth tired eyes, and increase blood flow to the brain. This tea was without a doubt, my favourite. 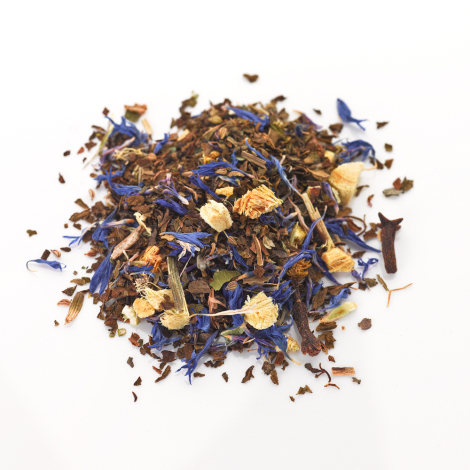 Refreshing white tea, with the sweetness of elderflower and bright blueberry. Fantastic after a long day at work, or when needing to refresh your senses and creativity during a break. The perfect tea to promote a good night’s sleep and a restful, anxiety free mind. A blend of chamomile, honeybush, lavender and valerian helps to relax and sooth the mind, relieving tension and helping to forget the worries of the day. My second favourite of the seven teas and so much better than any sleeping pill! I absolute loved each and every one of these teas. A wonderful range of blends, with real noticeable benefits. Herbs and spices are amazing things and can really help us to become our best. You can buy the box set of all seven teas for £35, otherwise each of the seven teas is sold as a box of 15 tea temples for £5.50. The sample box was sent to me free of charge for review purposes. All opinions are my own. Next Post Reduce Waste… Never Buy Cotton Wool Pads Again!